Orlando Therapist: Jenifer Garrido - Therapist 32804. Send A Message To Jenifer. Jenifer recognizes that clients come to counseling seeking solutions to the problems holding them back from enjoying a happy and fulfilling life, which is why she utilizes a solution-focused, Cognitive Behavioral approach to treatment. While she has received advanced training in a variety of treatment modalities, and tailors treatment to meet the specific needs of each individual client, Cognitive Behavioral Therapy (CBT) is her method of choice for therapy. Based on substantial research, CBT is seen as the most effective therapy because it aims to teach individuals to challenge both the negative and irrational thoughts we experience and the maladaptive behaviors we engage in. By focusing on both of these aspects simultaneously, CBT is an extremely powerful means for changing even the most problematic issues. Jenifer believes that an experienced and knowledgeable therapist should assist her clients with acquiring skills and tools, strategies that clients can clearly understand and implement to overcome the obstacles standing in their way. Her goal is to empower her clients to become active participants in creating the life they deserve to be living. She emphasizes that clients who are motivated and ready to work hard both during and between sessions, can expect to reap the benefits counseling can offer. While Jenifer offers a generalist practice, one of her main areas of interest and expertise is treating anxiety disorders. From common to complex, Jenifer treats a wide range of anxiety based disorders, such as Obsessive-Compulsive Disorder, panic disorder, social anxiety and phobias. She also treats clients struggling withTrichotillomania (hair pulling) and skin picking. One of the distinctions of Jenifer's practice is her use of Exposure and Response Prevention Therapy, ERP, an approach that challenges clients to face their fears head on and gain skills in overcoming their anxiety. Jenifer's use of ERP is based on clinical research and the success she has achieved in helping clients whose lives were controlled by anxiety and fear. Her expertise in this area lead to being selected as a treating therapist on Season 2 of the groundbreaking documentary series, "Obsessed", which aired on A&E Network Television in 2010. Jenifer also has appeared on Good Morning America and is frequently interviewed on Orlando Fox 35 News for her expert opinion. Please visit Jenifer's practice website or contact her office directly to learn more about the use of these modalities and how her expertise in the area of treating anxiety disorders is a distinction she is proud to offer. Jenifer finds that most people struggle with the decision to begin counseling, which is why she personally speaks with all potential clients on the telephone prior to scheduling an appointment. "I welcome the opportunity to assist you in your quest for happiness. Make your dream of a brighter tomorrow a reality...TODAY." In 1995, Jenifer graduated with a Master’s Degree in Clinical Social Work from Florida International University. She completed her degree with a cumulative 4.0 grade point average and was listed in "Who’s Who in American Colleges and Universities" and was the recipient of the School’s Outstanding Scholar Award. In addition to her clinical internships, Jenifer served as a graduate research assistant in the School of Social Work at FIU. Jenifer has resided in Orlando since 1995. 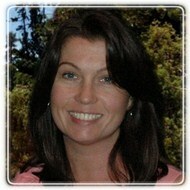 She has worked as a psychotherapist for over 18 years in a variety of settings in both the public and private sectors. Jenifer is licensed to practice psychotherapy in the State of Florida and has been in private practice since 1998. This includes affiliations with prominent psychiatrist, Dr Jose Quinones, MD in Winter Park, and Family Focus Counseling in Winter Springs, as well as her own independent practice, presently located in the downtown Orlando area. She has also supervised therapy interns seeking licensure. Jenifer is very proud to have been selected to participate as a treating therapist on the critically acclaimed documentary series, "Obsessed". Jenifer can be seen in three episodes during Season Two, which aired in 2010, on A&E Television Network. Jenifer's goal is to educate society about the crippling effects of anxiety. Millions of people live in shame and fear that someone will learn that they suffer from an anxiety disorder. "Through the courage and tenacity demonstrated by the participants on the show, I truly hope that people will recognize that there is help for anxiety and a life not controlled by anxiety is a real possibility." She invites people to visit www.aetv.com/obsessed/ or her website : http://www.jenifergarrido.com/ , for clips from the show and more information on anxiety disorders. Jenifer has also appeared on Good Morning America for her expertise as a therapist treating anxiety disorders such as Obsessive Compulsive Disorder. Visit the GMA website to view her interview. She has also been interviewed on Orlando Fox 35 News on numerous occasions and on the Orange County Government Television show, "The Couch Live", for her expert opinion. Jenifer has authored several published articles in local newspapers and coauthored articles in the fields of social work and psycholinguistics. Additionally, she co-developed a pamphlet for the Children’s Health Fund entitled "What to do when I am angry” to assist children in effectively managing their emotions. Jenifer has been married since 1995 and is the mother of three energetic children. She has been a volunteer for Junior Achievement, was a PTSA board memberand a mentor for students within the Orange County School System. In her spare time, Jenifer enjoys reading, being outdoors and activities with her family. As a therapist, Jenifer describes herself as approachable, empathetic and assertive. She believes that success in therapy, as in life, is always possible when the individual is committed, motivated and willing to put forth effort to create change.